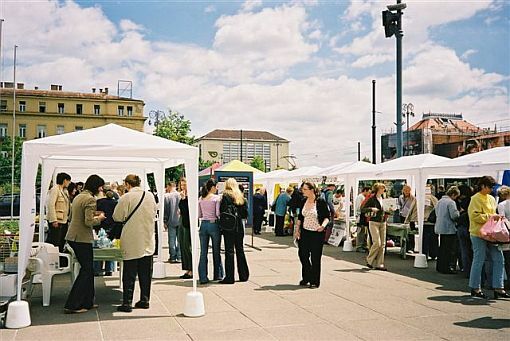 Due to the growing interest of the public in vivisection, as well as the growing number of people who exclusively want to buy cosmetics not tested on animals, Animal Friends is organizing a two-day fair of cruelty-free cosmetics. 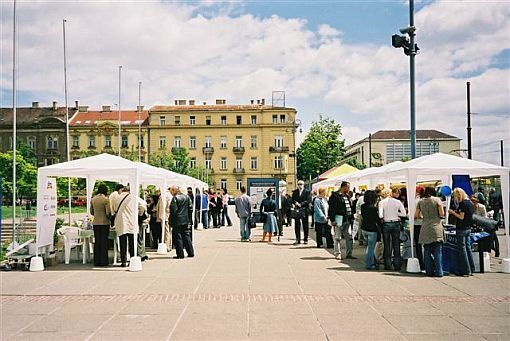 The opening of the fair will take place on the King Tomislav Square on Friday, May 14, at 11 A.M., and the citizens will be able to browse through info stalls till 6 P.M. On Saturday, May 15, 2004, the fair will be open from 10 A.M. to 3 P.M. 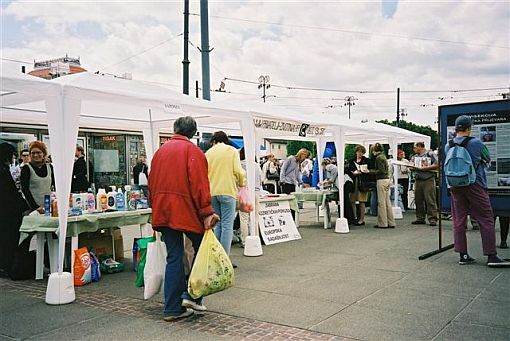 Besides the informative stand of our organization, where the activists will be handing out leaflets on animal experimentation as well as the more and more popular black and white list of cosmetics producers, on the fair 11 producers will be presenting their products, that were not tested on animals. Those producers are: Avon, DM, Freeman, Ginger, Lush, Milla, Neva, Oriflame, Sapio, Saponia, and Wella. All visitors of the cruelty-free fair will be able to sign a petition for the right for conscientious objection against dissection of animals in schools and on universities. The World Conscientious Objector's Day will also be marked with a lecture and a projection on animal experimentation organized by Animal Friends that will take place on Saturday, May 15, 2004 at 5 P.M. in club Mama in Preradoviceva 18. 80% of experiments are done for the purposes of testing cosmetic products and cleaning agents. Rabbits, guinea pigs, rats, mice, dogs and cats are being poisoned or have various chemicals spilled on their bodies. The most common reactions are twitching, vomiting, paralysis and different kinds of bleeding - from the nose, eyes and mouth. The wounds are horrible and the pain is unbearable. More than 400,000 animals, and that is almost half the population of Zagreb, are exposed to intensive pain and are dying daily in thousands of laboratories around the world for the profit. Ethical firms, that do not test their products on animals, are winning over the market from the producers that don't want to take full responsibility for the quality of their products and are therefore hurting animals in a horrible fashion. Still, the most efficient and most important influence on the producers is made by consumers who boycott the cruel and choose the ethical products. That way the cruelty of vivisection is pushed away and the ethical production of cosmetics and cleaning agents is stimulated.